We’re officially in the era of wireless charging. And in this era, wireless charging accessories are getting a lot better — and faster. While iPhones from 2018 and 2017 support Qi-based wireless charging up to 7.5W, you can future-proof your setup by going with higher outputs. In lieu of Apple AirPower being available, we’ve collected a variety of wireless charging accessories that support up to a 10W output! You may not know this, but to take advantage of fast wireless charging you’ll need a compatible AC adapter (sometimes called a power brick). Just like with wired fast charging, not all power adapters are created equally and to get the best speeds, you’ll need the right hardware. That’s where this handy power adapter comes in. It sports both a USB-C and a Quick Charge 3.0 output ports, so it can safely charge up your devices whether you’re opting for wired or wireless charging. It also sports a variety of protection features to make sure your trusty smartphone stays safe. Get it here. If you want to combine form and function when it comes to your wireless charging accessories, look no further than this Qi-based chargeONE wireless charger. This one caps out at 10W, so it exceeds the charging input of current iPhones (but will work just fine when iPhones hit that 10W charging support). 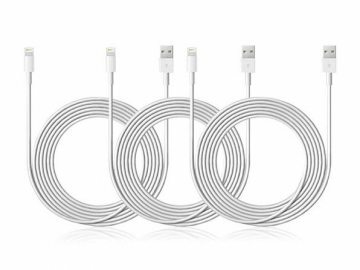 It’s also a slim, stylish charger with a woven fabric design and other clever features like a rubberized, non-slip ring. Relating to the last charger, this charger actually comes with an 18W Quick Charge 3.0 AC adapter (so no need for any additional accessories). Get it here. As we mentioned earlier, Apple’s AirPower is still MIA as of the writing of this article. 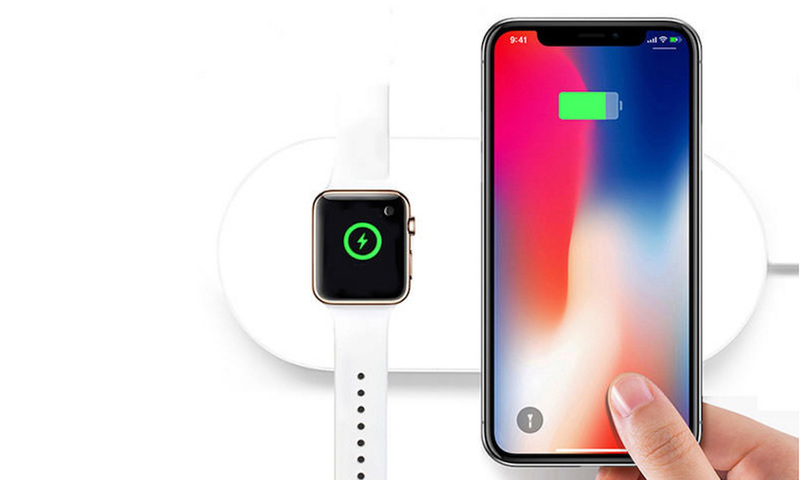 But if you’d still like a single device to charge your iPhone and Apple Watch simultaneously, you still have some third-party options like this dual charging pad made by iPM. 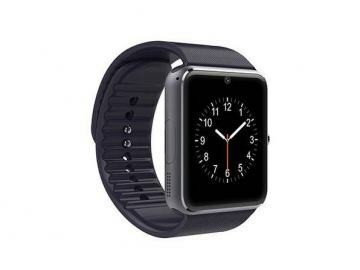 It’s a pretty standard Qi-compatible charger that comes with the added ability to charge a smartphone and Apple Watch concurrently. It also packs temperature, short-circuit and surge protections. It caps out at 10W of energy output, so you’ll need to pick up a Quick Charge AC adapter with this option. Get it here. Many wireless chargers offer a fairly inconvenient viewing angle for smartphones — flat on a desk or table. That’s not a problem with this Qi-based wireless charger, but doubles as a convenient stand for watching media content or simply glancing at your phone while it’s juicing up. The grippy stand allows you to charge your iPhone in landscape or portrait orientation. It pumps out up to 10W of power and features built-in short-circuit and temperature protections. Compatible with all Qi-enabled devices, though you’ll need an appropriate fast-charging AC adapter to access 10W wireless charging. Get it here. This wireless charger is smart enough to keep on your nightstand, with no flashing lights or beeping included. 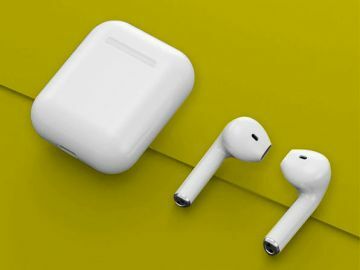 But it’s also portable enough to take with you on-the-go — so you can charge up your devices wherever you are without a clutter of cables. It, of course, offers up to a 10W charging output when paired with the proper accessory. (Like the last charger, you’ll need to pair this option with a Quick Charge power brick for optimal charging speeds.) 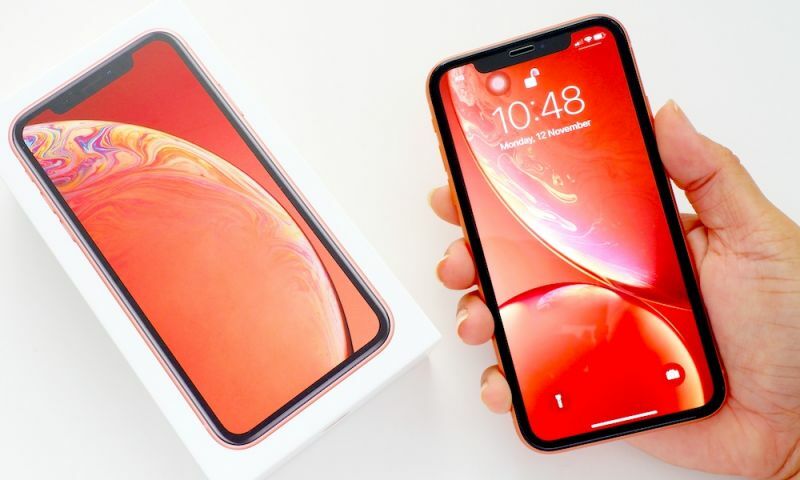 It also sports a rubberized texture that grips your smartphone, as well as overheating and overcharging safety features. Get it here. Wireless charging isn’t just for desks and tabletops. This fast wireless car charger lets you juice up your iPhone wirelessly without needing to mess with any cables — which is especially important while driving. Just place your smartphone on the stand and you’re good to go. It mounts in most car air vents and delivers up to 10W of wireless charging (though it’ll charge 7.5W iPhones just fine). The anti-slip phone mount itself features 360-degree viewing angles for easy, hands-free navigation. And you don’t need to worry about charging mishaps on the road with over-charging, -voltage, -current and temperature protections. Get it here. Read Next: Are Google’s Latest Smartphones Plagued By Strips of Dead Pixels?